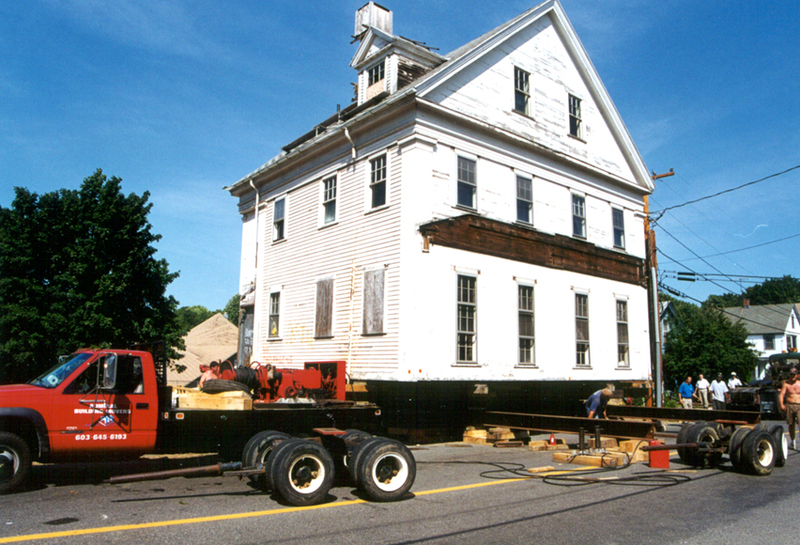 Historic House Move & Restoration | Stirling Brown Architects, Inc. 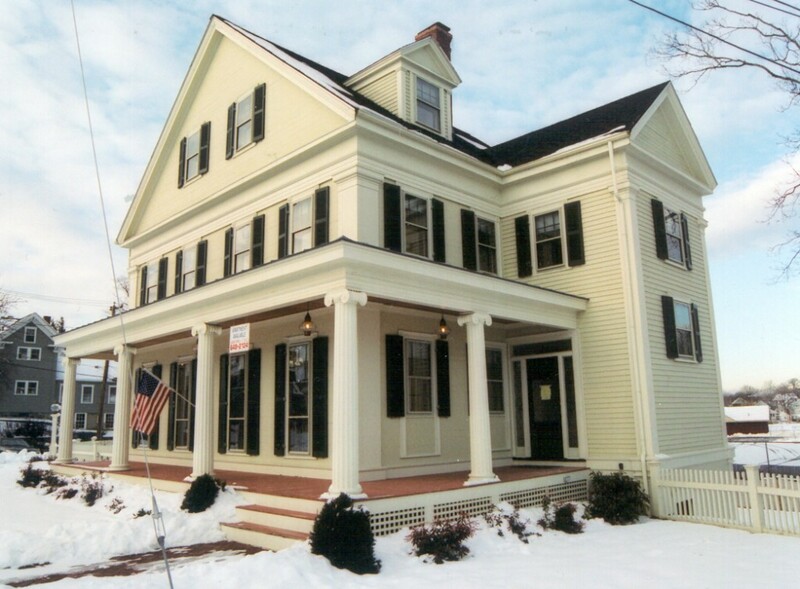 This historic greek revival home in Stoneham was moved from its location on Main Street, as a furniture store, to Summer Street where is became a three unit commercial property. 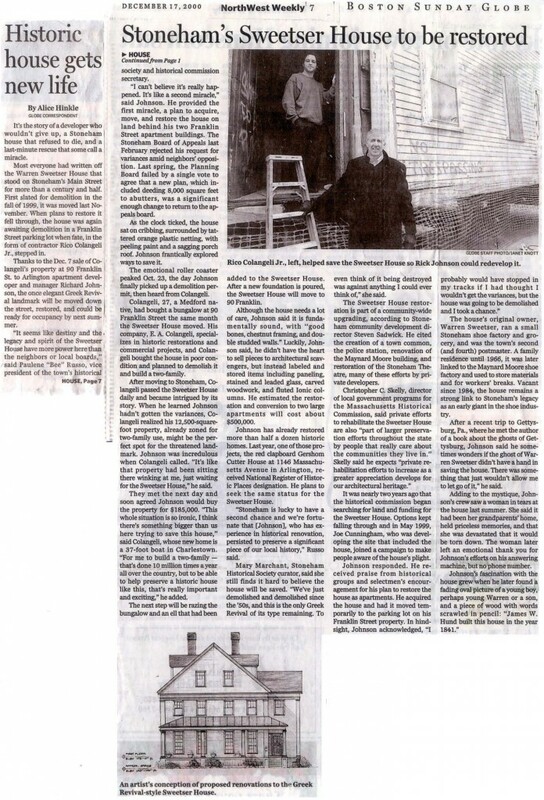 I have worked with David Stirling of Stirling/Brown Architects, Inc. for over thirteen years and have found his expert advice and analysis pertaining to my various project invaluable. 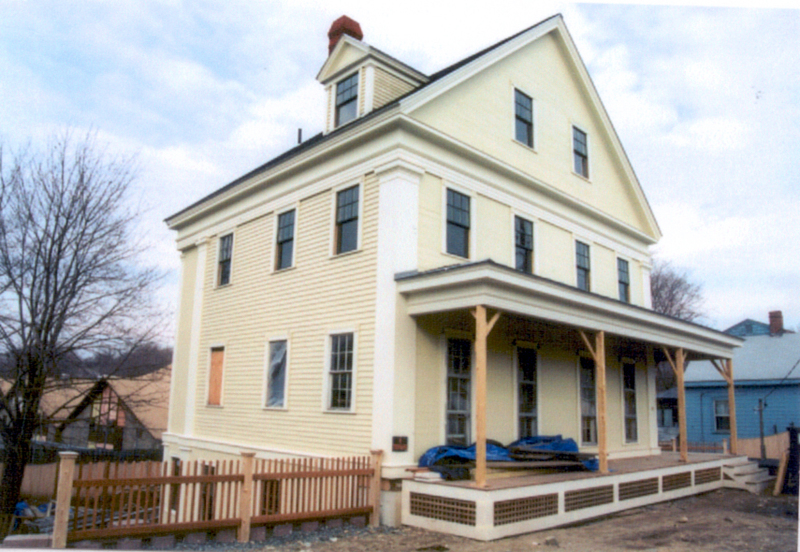 We worked on several challenging historic restorations, particularly the 1842 Greek Revival, Warren Sweetser House on Franklin Street, Stoneham, MA. The famous 1695 Butterfield/Whittemore House and the 1803 Gershom Cutter House both in Arlington, MA and the 1840 octagonal Richard Pinkham House in Medford, MA., all of which were placed on the National Historic Register of Historic Places. His firm recently designed for me a 22,000 sq. 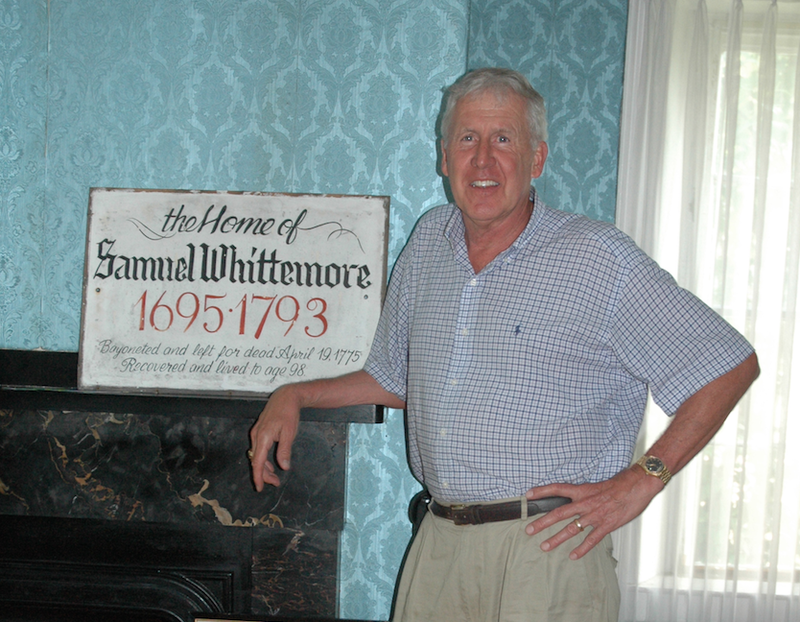 ft. Federal Colonial style apartment building at 20 Brooks Park in Medford, MA. I used his consultation throughout this project. 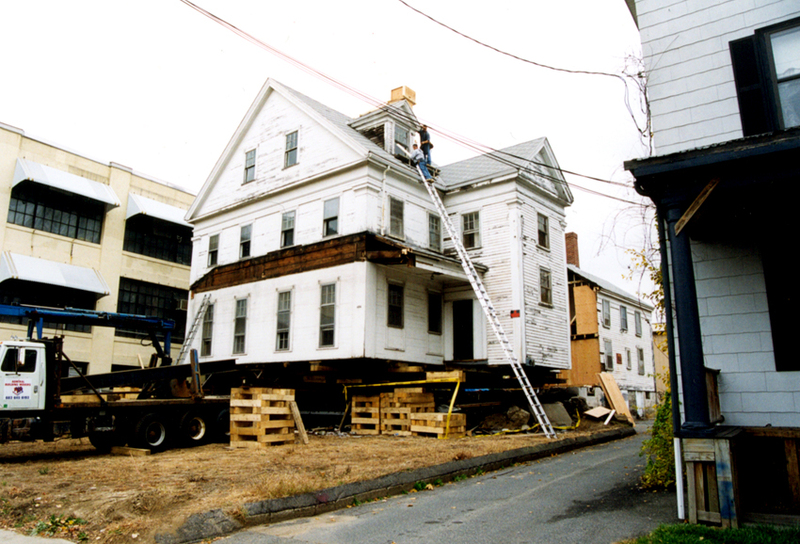 David and his firm were always thorough and professional.